I used 3 blocks on my running and offset them to make it look like they were tumbling across my runner. I quilted the runner with organic wavy lines. But why stop with just 3 blocks when these are so much fun to make? So I turned the 4th into a trivit / hot mat but adding a layer of Insulite with a layer of batting. 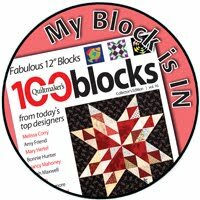 Check out today's Jolly Jabber post for more examples of this great block! All you really need for hand piecing are the basics - needle, thread and snips - plus good lighting. 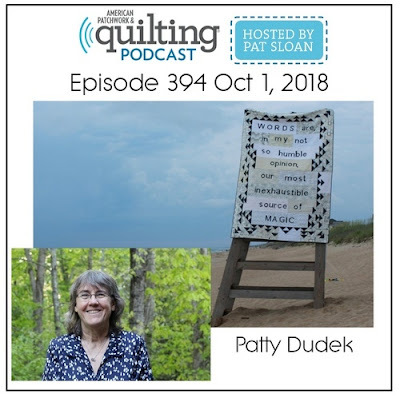 Your choice of a needle is really a personal one - I like a short needle while other quilters like to use longer needles. The key thing to look for is a needle that you can thread without issue and one that feels comfortable in your hand. Needles are inexpensive - experiment until you find one that feels right. Regular 50 wt quality quilting thread works well. Snips (or scissors) are also key - you want something smaller to trim any dog-ears and snip the thread. I like to sit and stitch at a table where I can mark seams, finger press and sew with ease. Great lighting and a quality lamp is critical. I love, love my Daylight lamp. For cutting fabric and marking seams, mats, rotary cutters and rulers are the key tools. A small cutting mat can be very useful as a portable surface for marking seam lines. It is easily rotated if you are, for example, cutting a piece of fabric in half on the diagonal to make triangles. Basic rulers are important for marking the 1/4'' sewing lines. This specialty ruler - The Perfect Piecer - makes marking sewing lines on triangles a breeze! Finally, there are several notions that will make the task more enjoyable. For some people, thimbles are critical while hand sewing. I wear a thimble on the middle finger of my right hand while sewing. I've tried all different thimbles and am enjoying the leather one pictured above. Pinning seams is important. The type of pin you use is one of personal preference but I love using short pins designed for applique because they don't get in my way while I am sewing. Thread conditioner keeps your thread tangle free - I just love the conditioner from Robot Mom Sews - it does the job and smells so nice! Perhaps one of the reasons I enjoy hand piecing so much is you can take it anywhere. My travel case (tutorial here) folds open to give me a work surface and the center serves as a mini pin cushion. Small case which holds a few pins and needles. I always worry about loosing needles so a piece of fusbile fleece taped to the top of my case holds the needles tight. If I am traveling by airplane, I bring along a tiny cheap pair of snips just in case TSA decides to confiscate my scissors. 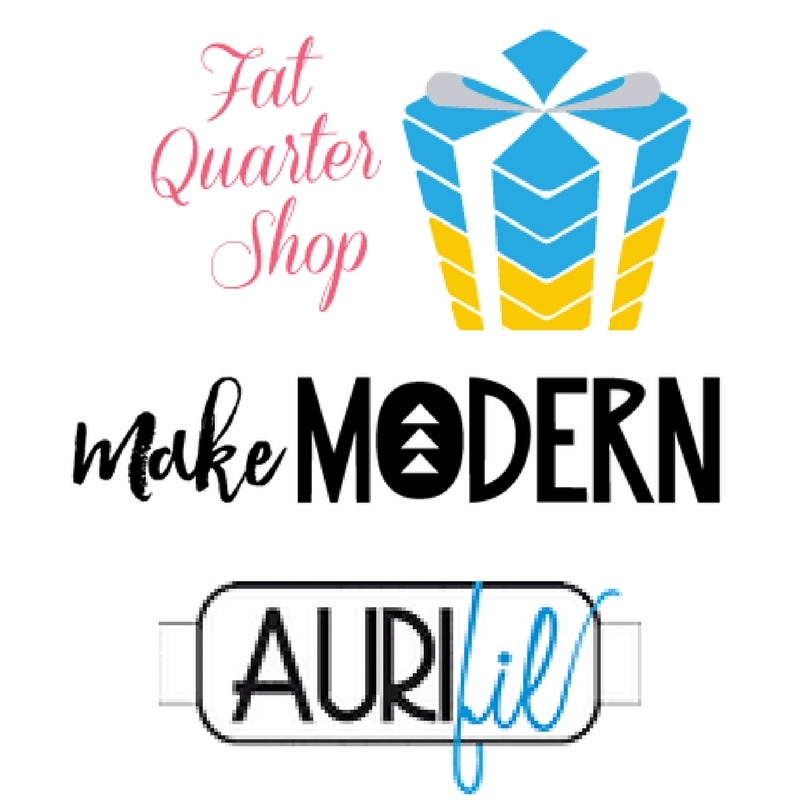 Most of the items featured can be purchased at Fat Quarter Shop, one of the awesome sponsors for the Hand Pieced QAL! Please note this post contains affiliate links which means I will earn a small commission if you purchase an item. This does not increase your costs in any way. 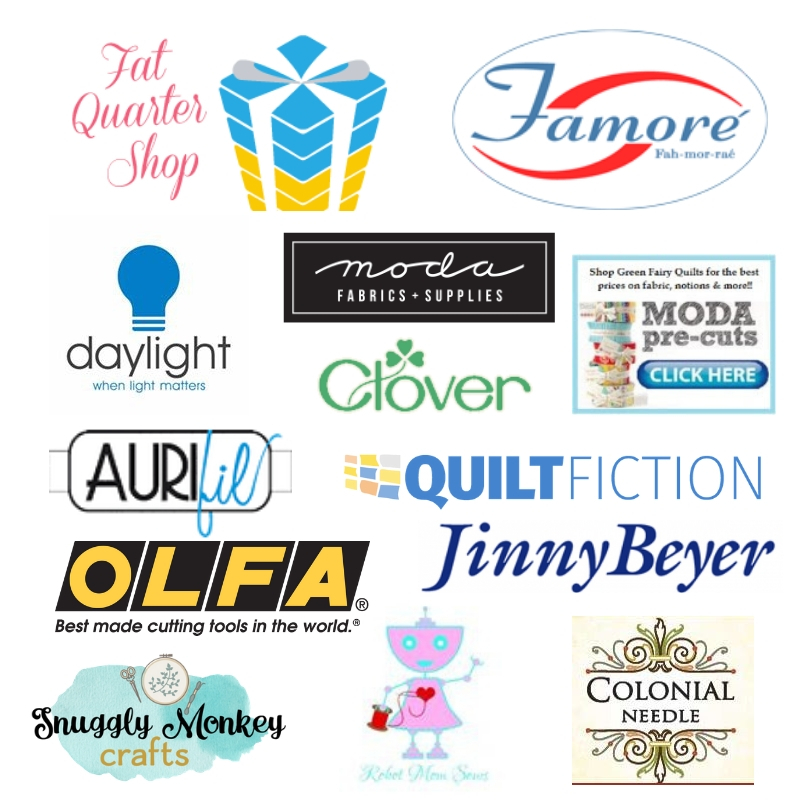 The Daylight Company, OLFA, Robot Mom Sews, Famore and Clover provided product for my personal use. All opinions expressed are my own. 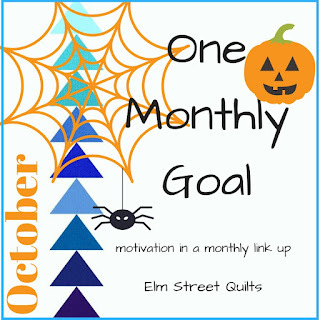 Ready to link up your October finishes? Don't panic - this link-up is open until October 31 at 11:55 pm ET. My goal for October was to FMQ my HRT quilt - all 720 of them! 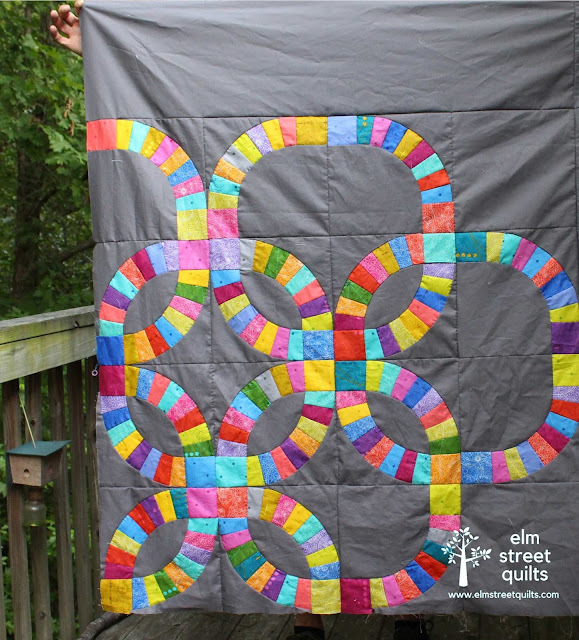 I did a simple meander and tackled the quilting over several days. Now to bind! 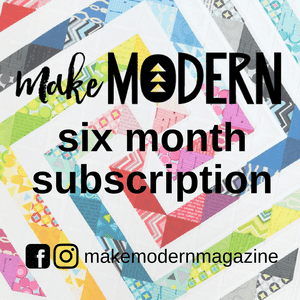 There will be three winners this month - Fat Quarter Shop is offering a $25 gift certificate, Make Modern Magazine is offering a 6 month subscription to their digital magazine and Natalia Bonner from Piece n Quilt is offering a PDF pattern from her shop. Congratulations to Lisa, Laura & Dawn - our lucky randomly chosen winners for October. I am very excited to announce that Kristin Esser from Simply Everyday Handmade and I have been working on a brand new QAL which will start in January 2019! Kristin and I have both fallen in love with hand piecing for many of the same reasons. 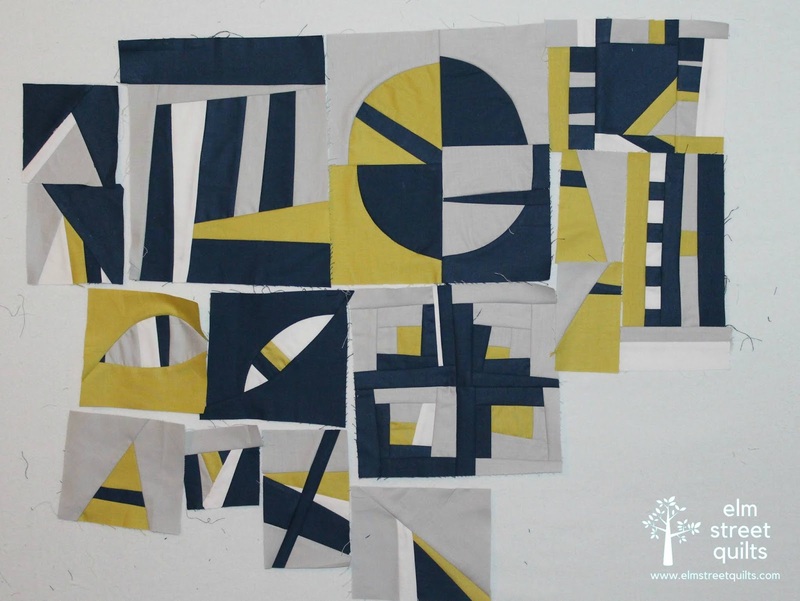 Hand piecing requires the simplest of supplies - fabric, thread and a needle - and you can carry it with you everywhere. Find yourself waiting a bit for an appointment then you expected? 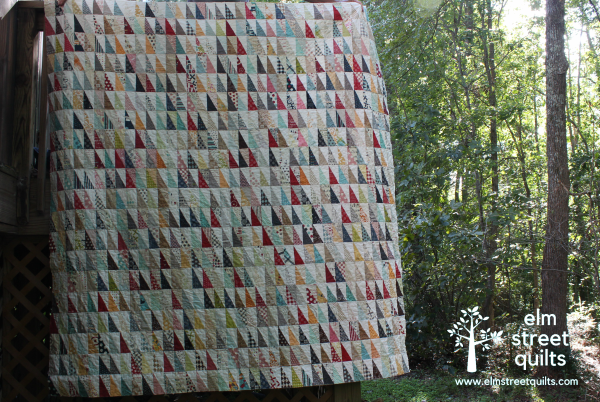 Make a 4 patch or flying geese block! 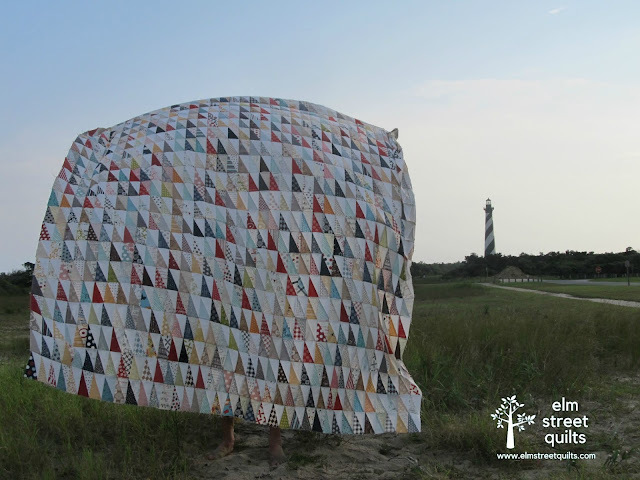 With this QAL, our not so secret goal is to create a community of quilters who love to hand piece. We believe that once you try it, you will be hooked! The QAL will start with the most basic of quilt blocks (4 patches, HST, flying geese and hour glass) to establish the basics of hand-pieced construction. The blocks that follow will build on these skills. 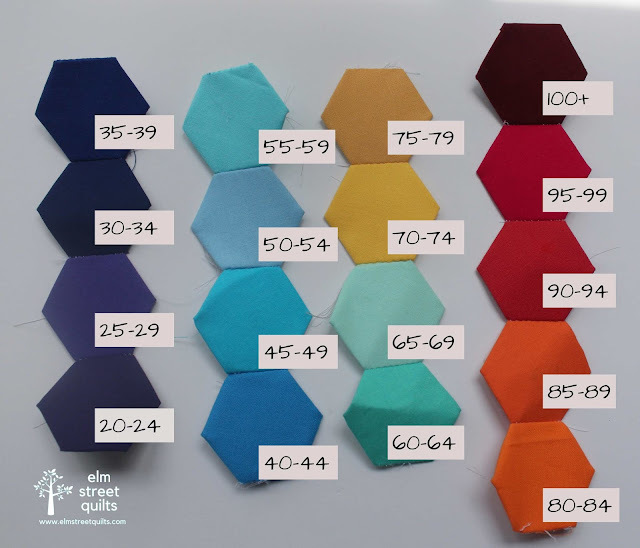 We will teach you step by step how to make these units and then assemble them into blocks for our quilt. Never hand pieced before? No worries. We'll share step by step tutorials, hits and tips and tell you all about our favorite notions. While, you will have to wait a little longer for the big quilt reveal, I can tell you there be nine blocks and we will share a couple of alternatives settings to create your own beautiful quilt top. We will have weekly link-ups and chances to win some awesome prizes from our amazing sponsors! 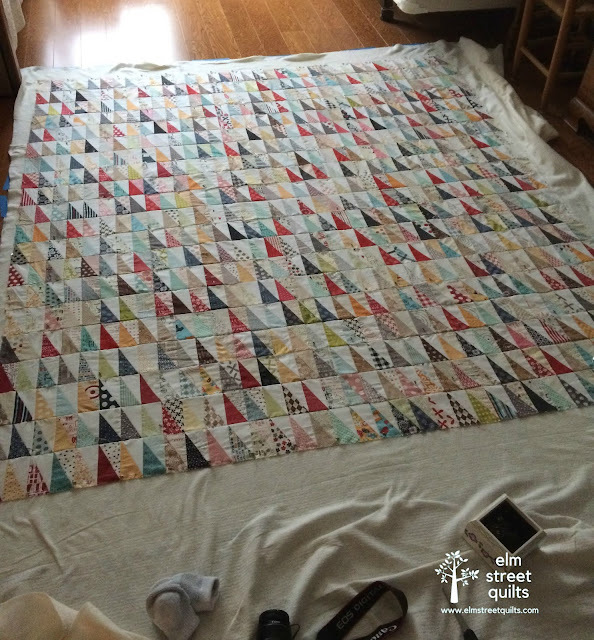 The Hand Pieced QAL will start in January. Want to make sure you don't miss it? 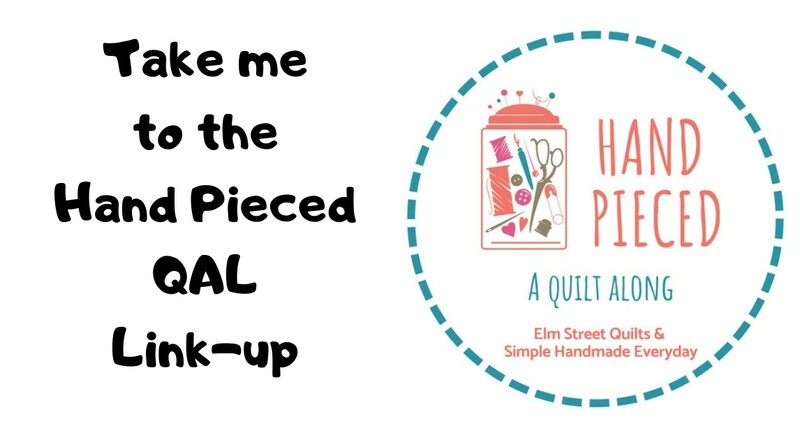 Join our Hand Pieced Quilt Along Facebook Group. We'll remind you of new posts as they go live and you can share photos and chat about your experiences as we all build this quilt together. Subscribe to our newsletter so you'll be among the first to know about the latest QAL news. I just can't wait to get started! I organize my quilting to-do list into 4 categories (Must Do, Have to Do, Like to Do and Squirrel). (Listen to me discuss this on Pat Sloan's podcast - I'm guest #2). Here are the 4 projects on my Like to Do list that I've started and hope to get back to soon. First up is a single block quilt (Endless summer block pattern from A Quilting Life) that I am going to hand quilt. Then, it will be onto my Stars Wars blocks - this will turn into a Christmas gift for my son. Next block will be a Yoda block - you can find these block patterns from Kristy at Quiet Play in her Quiet Play pattern store. These have been waiting for me to finish since January! A year ago, I took an improv class from Michelle from Factotum of the Arts. The blocks hung out on my design wall for awhile and now need to come back out and play. These are each so different from each other which makes them a lot of fun! Sunday, the 23rd, was the first full day of fall. But it took until last week - after Hurricane Michael blew through - for temperatures to drop and sweatshirt weather to arrive. I've a bunch of fall themed fabric in my stash and when the season arrives, I have sudden desire to make pumpkin quilts or quilts with leaves. No pumpkin quilt this year but I did make a mini fall quilt to celebrate. The mini is 9'' square and I used Trip Around The World Mini Quilt tutorial. The October block joins my other 9 blocks. My original thought was to make a pillow from the blocks - they are all 6'' finished - but I may actually make a small wall hanging. Two more blocks to go. The fabric is a Moda line by Amy Ellis. One more thing ... 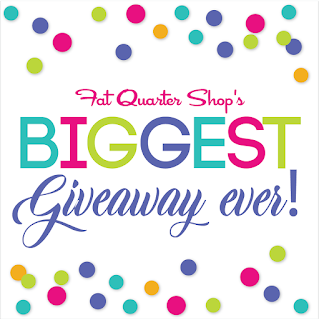 Fat Quarter Shop has a massive giveaway going on. I've entered and hope you will too! Contest is option through October 26. My goal for October is quilt my HRT quilt, made with 720 HRTs of fabric all by Moda Sweetwater. Typically, I baste a quilt on my kitchen table and use large binder clips to hold things flat. This works fine for quilts that measure smaller than the length of my table (~ 60"). While I've had occasional success with quilts larger than 60" - including the one pictured below - it can be a real struggle. My first attempt at basting my HRT quilt on my kitchen table did not go well. And all the pins had to be removed when I discovered areas where the backing fabric had large wrinkles or gaps on the edges. So I moved the quilt to the floor. Since my son is away at school, I could spread the layers out on the floor of his room and not rush myself through the basting process. The backing fabric was taped down using painters tape and the batting and quilt floated on top. With the basting done, I've started FMQing. My plan is to tackle the quilt by working on a small area at a time with the goal of avoiding needing to tie off thread by using something less than a bobbins worth of thread for each section. Given each HRT measures 2" across, I am quilting a strip down the quilt which is three (3) HRTs wide aka 6''. This means I will be moving the quilt through the machine 12 times (which seems like a lot!) but it minimizes the side to side movement which usually causes thread breaks. I've been making great progress this week, just doing a section at a time with a simple meander. You can see a bit of the quilting on the back. I was lucky enough to find 4 yards of a Sweetwater print I forgot I had in my stash and with a little bit more fabric (that fun house print) pieced together the back.